It’s been an exciting year so far, that’s for sure! I spent much of March through May working with various branches of the Boston Public Library and various schools in the Boston/Cambridge area on storytelling workshops. 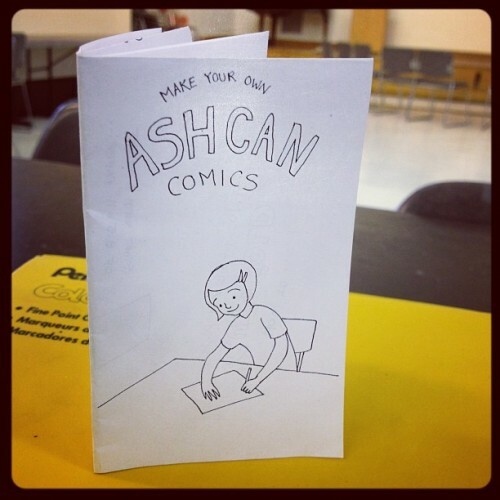 We made ashcan comics and I had an absolute blast. I also attended the Maine Comic Arts Festival as an exhibitor. 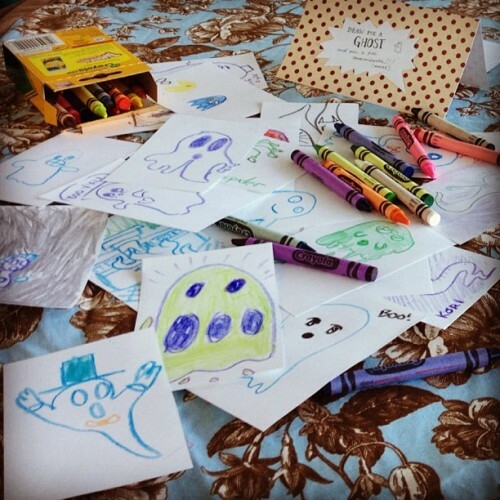 People drew so many ghosts for me! Beautiful, right? 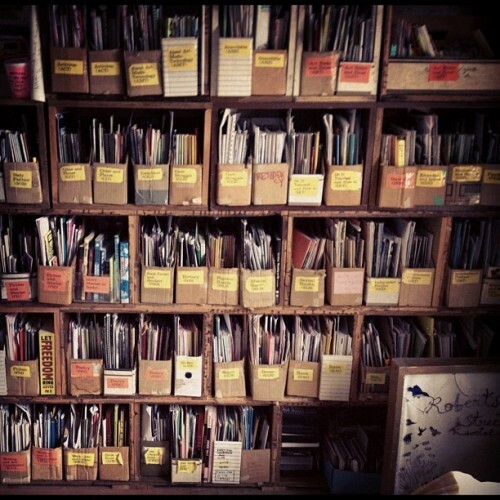 In June I went to Halifax, Nova Scotia and did a zine project with Anchor Archive at Roberts Street Social Centre. 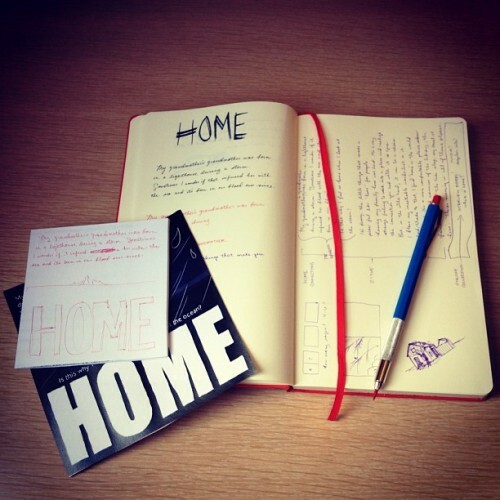 The zine’s concept is “home”, and incorporates an activity that invites others to participate and share their own thoughts on the concept. There’s a HOME Tumblr that compiles all the submissions I’ve received. There’s some interesting stuff! At this point I’ve finished my residency with the Associates of the Boston Public Library, which is sad, but I’m excited to see the success of the incoming writer and their project, as well as enjoy pride in having completed my first longform graphic novel project. It took almost exactly a year, but Under the Apple Tree is officially finished! If you’d like to read Under the Apple Tree, the entire comic is currently available for download as a PDF! Visit the UtAT website and there is information in the latest blog post. How am I spending my summer, you ask? In August I’ll be running an illustration workshop with the summer program teens at the Peabody Essex Museum (Salem, MA), and I’ve started a position with Harvard University as Digital Arts & Humanities Fellow. More to come later! While I tend to post only significant updates here, please follow my Tumblr if you’d like something more frequent. I share sketches and photographs quite regularly there.